A march in the Perv Parade, the 100 most influential people of the year, and much more on today's Barsky Radio! The top stories of the day, ESPN anchor tries a coverup, and some money stories all on today's Barsky Radio! 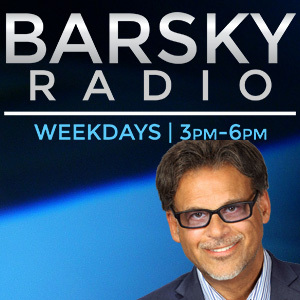 Robert Kraft trying desperately to stop a video release, preparing for the Mueller Report release, and Pete Buttigeig dealing with hecklers on the campaign trail all on today's Barsky Radio! Some strange Japan stories, Florida Proud, and new frozen foods from an interesting source all on today's Barsky Radio! The top stories of the day, Bernie Sanders wins big at Fox town hall, and President Trump announces the next recipient of the Medal of Freedom all on today's Barsky Radio!